Lanyards make a great attachment method for Visitor badges, ID cards and school badges. There is no minimum quantity required and customers may mix colors as desired. 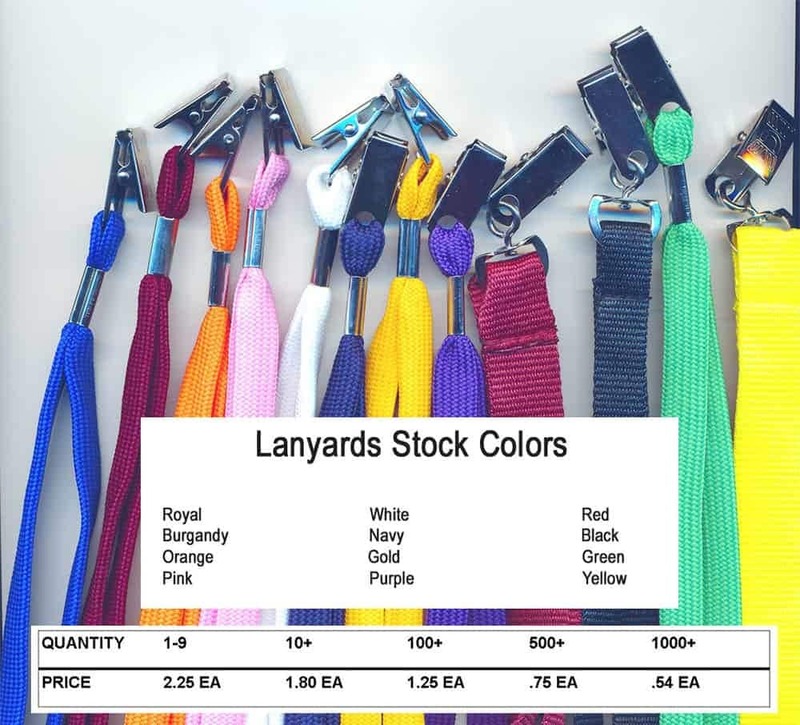 Colors listed below are typically in stock. Name-badges.com Inc. can full fill your custom identification needs.